Villains are the interesting characters. I have often hoped for the villain to win ever since I was a child. They have the great plans. They make the stories move. They give the “real” protagonists something to overcome and fight against. Without villains most stories would not even exist. This is especially true in comics. Nemesis was suggested to me by someone who knows what I like and thought that I would truly love reading it and he was completely right. Nemesis is the villain I have been waiting for. Cold. Calculating. Brilliant. Motivated by nothing but causing chaos and inflicting pain. 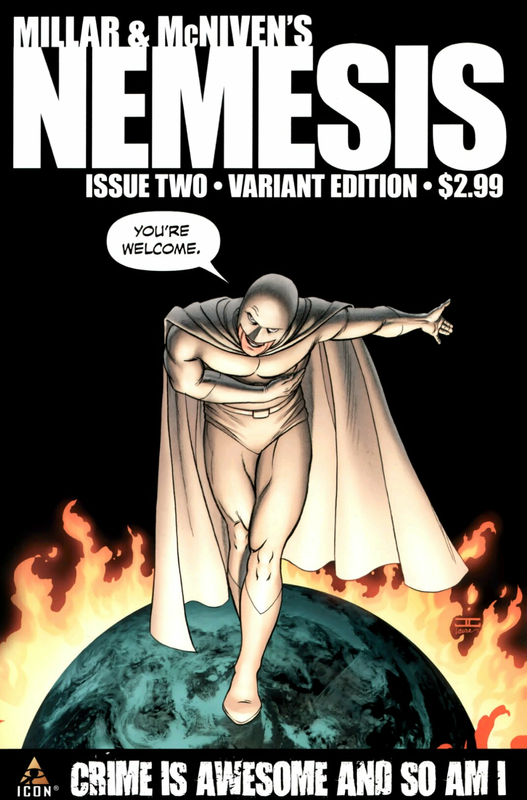 Nemesis was one of the most enjoyable jaw-dropping reads I have experienced in a long time. It is only a four issue comic but it is totally engrossing. A complete page turner and interest-piquer. Yes, it is so great, I have to make up word to describe its amazingness. Nemesis is THE villain for villain lovers.